Christmas is just around the corner. Hooray! What are you most excited for — decorating the tree, decorating cookies or building a snow man with the kiddos?! Chances are, taking the family photos is not at the top of that list. Or maybe you’re one of the few that enjoys the camera’s attention. Regardless, taking those family photos will be the beginning of creating your Christmas cards — and everyone loves Christmas cards, right?! Sometimes it can seem like taking a great family photo is some sort of mysterious science. Well, we’re here to let you in on the secrets. You’ll be creating your best Christmas cards in no time! Whether you’re working with a professional photographer or having a friend take the photos for you, here are a few tips and tricks to get the best family photos. Before everyone is rounded up for the photos, be sure there’s a plan in place. Your family’s attention span is likely not very big — especially the young ones. Be sure everything is ready to rumble (the furniture is set up, the props are in place and the changes of clothes are laid out or prepped) before getting everyone in one place. Your photographer will likely agree — taking photos in natural light will get you the best family photos and will result in softer tones. When you’re planning the time for your family photo shoot, think either early in the day (great if you have young ones as they will be rested) or later afternoon. Midday sun will blow out all of your photos. 3. Avoid too much posing. You’ll want to avoid fake smiles in your family photo. If you’re having a friend take your photos for you instead of a professional photographer, have a few stories up your sleeves to keep the kids (and everyone else) laughing. This is much better than having everyone say ‘cheese’ which will lead to fake smiles. 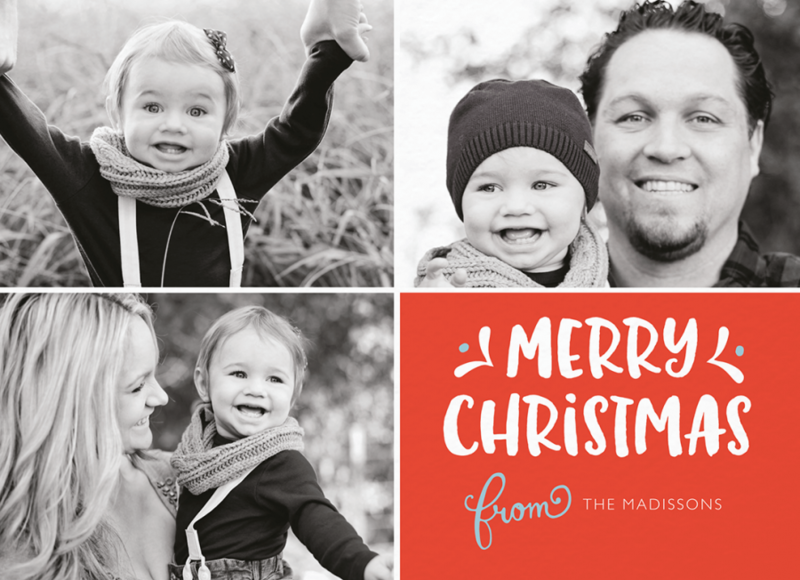 Do a little Pinteresting before deciding on anything (see: 21 Unbelievably Awesome Christmas Card Photo Ideas). Look around to get an idea of what kind of family photos you’d like this year. Browse locations, outfits and themes. See what you like and what you don’t like so that when you begin planning — especially if you’re working with a professional — you can plan accordingly with exactly what you’d like. Taking family photos is often a dreaded task, but an awesome family photo makes for awesome Christmas cards. With that said — why not make your family photos a fun event? If your family’s personality calls for it — why not take the photos during a fun activity. Candid photos often make for best photos. 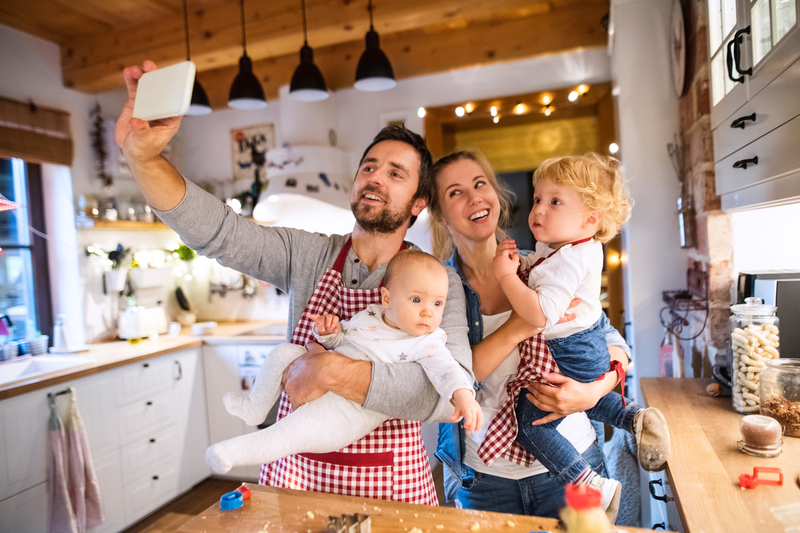 Have the photographer do the shoot while your family bakes and decorates cookies together — just make sure there’s proper lighting. How excited are you to take your family photos now?! These five tips will get you to the perfect family photo in not time. But wait, we’ve got bonus tips! Professional photographer, Fran Dickenson, from Raleigh, NC weighs in with seven great tips to getting you the perfect family photo for this year’s Christmas cards. 1. Choose a simple background. Keep that crazy, distracting background out of your shot by varying your angles and keeping the distracting elements out. You want to be able to see your faces first and foremost! Whether you choose indoors or outside, avoid distracting and busy backgrounds that will take away from your image. 2. Make sure you have light in your eyes. The best family photos have a sparkle in the eyes called “catchlights” which are created with a reflector or large light source. Having the photographer slightly above you so you are slightly looking up also creates beautiful catchlights. This is very important to give life to your eyes and vibrance to each face your portrait. 3. Keep your wardrobe simple. Busy patterns and bright colors will detract from your family photo, so keep your clothing natural and uncomplicated. Shirts with words on them and colors that are too bright should be avoided if possible. You can also bring more than one outfit to create different looks. Make sure your clothing fits your family’s personality. 4. Hair, makeup and accessories must look like your normal styles. This is not the time to experiment with new hair and makeup styles. Keep your style clean and straightforward so your personalities can shine through. 5. Try a variety of expressions. Make sure you take some pictures with big smiles and some more serious. Try smiling with and without teeth. You might be surprised that you prefer one over the other. You can also choose different looks and use more than one photo for your card. 6. Vary your poses. Everyone has a best side, so make sure your photographer takes a variety of poses from seated and standing positions. Getting the family moving with a walking pose will sometimes result in a fun family photo that everyone will love. The photographer should be able to guide you with some suggestions on the poses that flatter your body the most, including the kids! 7. Relax! Your nervousness will come through in your family photo, so make sure you are all calm and cool during your session. You can give an authentic smile when you are happy and relaxed in front of the camera. Shake out your anxiety, have fun, and give the camera the expressions that are unique to your family and shows your family connections. All tipped out? Well, we’re not done yet. Get your Christmas cards taken care of in minutes — yes, really. 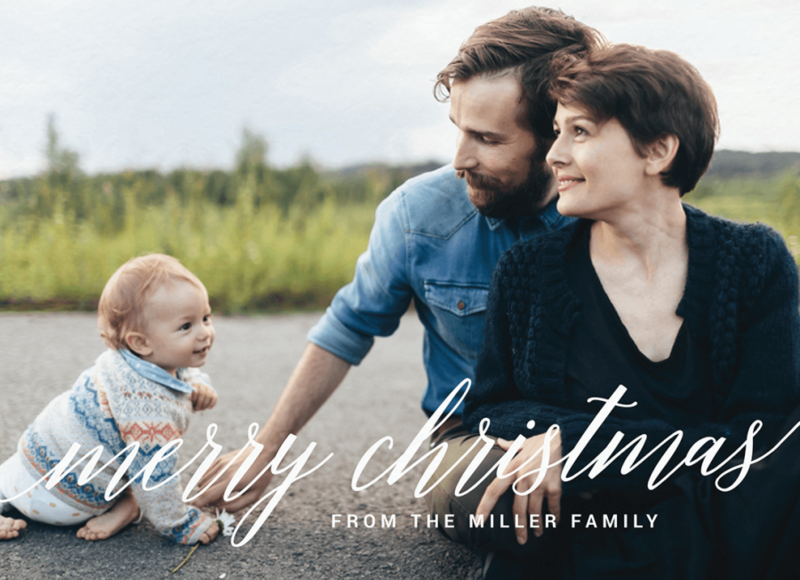 You can customize (with your amazing new family photos) your very own Christmas cards in minutes and Postable will print, address and mail them all out for you. You can spend your precious holiday time doing the things you actually want to — like eating all those cookies you decorated. And if you’re one of those think-ahead-of-time folks and got your family photos taken care of well ahead of time, you can even schedule your Christmas cards right now.